I was a home owner for the last 14 years until we sold our house to move here. Since we aren’t committed to staying past a year, it didn’t make sense to buy a house, so we barely brought any stuff with us and rented a furnished house instead. Renting a furnished place has been an interesting experience. 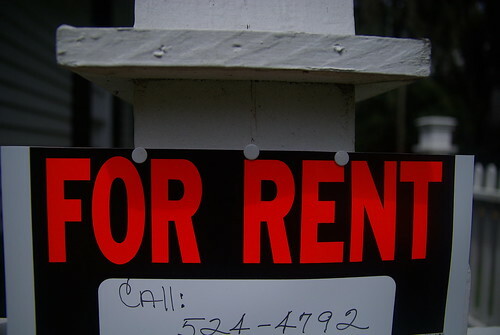 Mostly I love that we’re renting, but there are a couple of things that drive me crazy too. If something breaks, its not your problem. The pool pump broke and all we had to do was call the property manager and wait for it to be fixed. Man is that nice. No house projects. Oh my word is this a huge one. No house renovation plans. No painting or redecorating thoughts. No landscaping issues. None. First time in 14 years I’m not thinking of paint colors or furniture or my laundry list of house projects. Not having “baggage”. I still absolutely love that we own very, very little here. We could up and decide to leave when our lease is up and go anywhere without having to deal with much stuff except our cars. Not having to buy much house stuff. Since this place was fully furnished, we already had beds and seating and well, everything one needs to live in a home. Of course this was key since we didn’t bring any furniture with us and saved us having to furnish an entire house overnight. Getting to know the neighborhoods before we buy. Other places I lived were easy to drive around and see which neighborhoods felt right. On the Big Island, the conditions can change pretty quickly within just a few blocks. Figuring out our little microclimates, pests, schools, and such before buying has been the right call. Worrying about messing up other people’s stuff. This is especially stressful with young kids. I feel like I’m constantly reminding them to “be gentle with that”, “please don’t stand on that”, and more. Its actually driven me partly insane anytime I see a new scuff on anything hoping that I can clean it up before we move out. Random visits from the property manager or owner. We got a few days heads up that our owner wanted to stop by. Nothing like walking them through their house that you’re living in and hoping you’re keeping it up well enough that they don’t kick you out. Just today our property manager came by and proceeded to check out every toilet and under every sink. Luckily she was overjoyed by how we’re keeping the property but after owning , its hard to adjust to being watched and judged. Having to leave before you’re ready. We rented this property for 6 months with the understanding we could extend month to month afterwards. Well that was the plan until we got the phone call that our owners are moving back and we have to be out at the end of 6 months. We have 6 weeks left and no home yet which is stressing us out. Very few appealing rentals are available in the kids’ school district, either. Not having your own creature comforts. I miss my big screen tv, big comfy sofa and coffee table that was perfect for family movie nights. Now we have a very uncomfortable couch that I hate to sit on. I miss having a stereo. I miss having a kitchen table that was perfect for family meals and art projects alike. All little things but not being surrounded by things you love or make you comfortable can get a little old and makes you feel like a visitor and not “home”. Overall, the renting experience has been a good one though. I wouldn’t trade not having a mile long list of house projects for a comfy sofa. And I love the freedom we feel by not being tethered down with stuff. Some day it’d be nice to settle into a house again. But until then, know of any good places to rent? Next post: You Sank My Battleship!